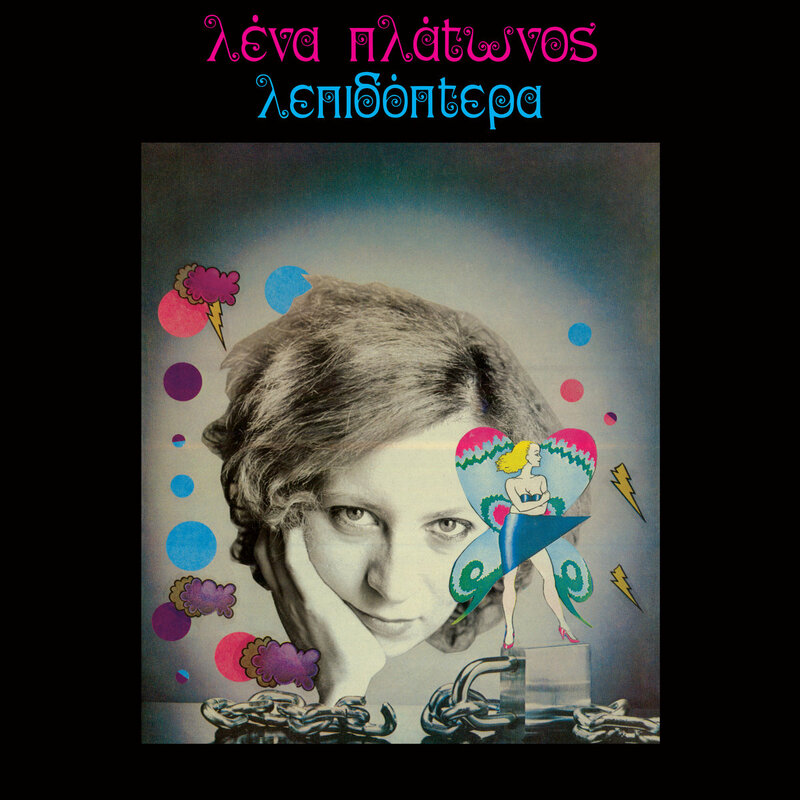 Lena Platonos’ career in electronic music stretches back to the 1980s, but it’s only now that audiences outside of her native Greece are discovering her stellar work. For that we have to once again thank Dark Entries, that put out vinyl re-releases of her first three albums, 1984’s Sun Masks (added to our library a couple years back), 1985’s Gallop, and this LP from 1986. Lepidoptera is the order of insects that includes butterflies and moths that undergo metamorphosis during development. The lyrics (included in the liner notes in the original Greek with an accompanying English translation) examine this theme of transformation. Platonos reflects on a young child at play (T4) and a notebook found in the street filled with the handwritten fragments of a schoolgirl’s life (T8), or paints more abstract scenes with her poetry. Her expressive voice – in verses sung or whispered, and filtered through electronic prisms – and piano playing contrast with offbeat electronics sounds – synths, drum machines, weird sound effects – to create moods from mysterious (T1, T4, T7) to dramatic (T6, T9), inquisitive (T2, T3) and joyful (T5). Bizarre, beautiful, a fascinating specimen of an album.